Germany’s European policy was subject of a seminar for journalists from Greece, Italy, Portugal and Spain, organised by the European Academy Berlin and supported by the Federal Foreign Office. Jan Schneider welcomed the group of media representatives (among others from newspapers such as La Repubblica, Corriere della Sera and La Stampa) in SVR’s office building in Berlin. In his input presentation Jan gave an overview of the state-of-play with regard to the legal reform of the Common European Asylum System, which seems doomed to fail in the run-up of the EP elections in 2019. He referred to fairness and solidarity as important goals of a comprehensive reform, the latter of which appeared key, if support of the Mediterranean EU Member States was to be safeguarded. SVR’s Research Unit has lately published a paper on the future European Union Asylum Agency, which can be downloaded here. A longer report on Reforming the Common European Asylum System, published with Delmi, is available here. After finishing their education at a university abroad, most international students wish to stay in their host country in order to gain some work experience. However, despite government efforts to ease visa restrictions, many international graduates struggle to find a job. The International Education Association of Australia (IEAA) invited Simon Morris-Lange, Deputy Head of the Expert Council’s Research Unit, to shed light on the German perspective on post-study work rights and international student retention and to take part in two panel discussions on the topic. The panel discussions featured experts from Australia, New Zealand, the United Kingdom and the United States. Seeking to discuss and compare the designs and outcomes of post-study work rights across different countries, Jo Attwooll (Universities UK) shared her experiences of advocating for a change in the UK’s restrictive policies in this area. Dr Rahul Choudaha (Studyportals) assessed the outcomes of the U.S. Optional Practical Training Program. Rebecca Hall (Austrade) shed light on the much-politicized changes to post-study work rights for international students in Australia, and Brett Berquist (University of Auckland, IEAA) discussed the implications of New Zealand’s efforts in this area, making use of administrative data tracking of international university graduates. The two panel discussions were attended by government officials, researchers, and university presidents and administrators. 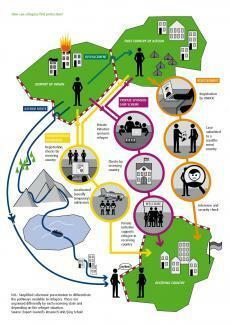 How many refugees benefit from resettlement each year? Which countries accept the largest numbers of resettled refugees? While these seem to be straightforward questions, a closer look at the data reveals a number of gaps and uncertainties. In a blog post for the Migration Data Portal of the International Organization for Migration, the Expert Council’s Research Unit analyses some of the pitfalls associated with global resettlement statistics. The full article is available here. The blog post draws on earlier Research conducted by Karoline Popp of the Research Unit ans published as a Policy Brief in June 2018. The Policy Brief can be downloaded here. Only a small minority of refugees worldwide currently has access to resettlement programmes. In this present crisis in global refugee policy, resettlement is nonetheless a promising approach to dealing with refugee situations. The Policy Brief analyses the state of play as regards the resettlement system in Germany, Europe and at global level, as well as the development and implementation of alternative admission pathways such as humanitarian programmes and private sponsorship schemes. 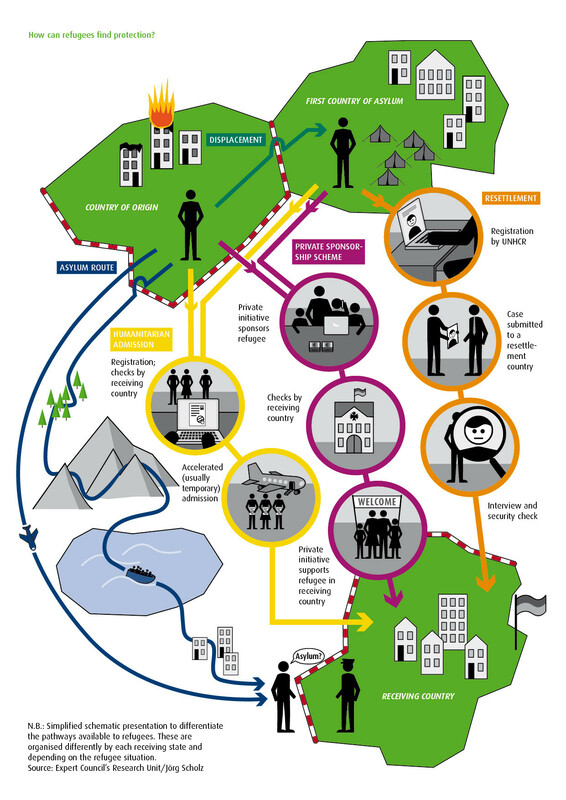 Based on this analysis, the Policy Brief discusses whether resettlement is an alternative or addition to territorial asylum and how alternative pathways can fit into the mix of available admission procedures, and it presents recommendations for action in regard to developing resettlement policy. The Policy Brief can be downloaded here. The idea of relocating asylum procedures to dedicated reception centers in transit countries outside the European Union has been discussed many times. While proponents stress that this would reduce highly risky irregular migration, opponents doubt that such centers could comply with human rights principles and point out numerous legal, political, and practical obstacles. On the initiative of the Bertelsmann Foundation and the Centre for European Policy Studies (CEPS), academic and political experts, along with representatives of national and international (non-)governmental organizations, met in Brussels on 13 November 2017 to discuss challenges and possible models. Karoline Popp of SVR’s Research Unit spoke about the basic and practical challenges that must be considered when creating extra-territorial asylum centers. How to boost the educational achievements of first- and second-generation migrants? In order to examine the main challenges and choices facing policymakers in the near future, the Migration Policy Institute Europe invited education and integration experts to discuss structural challenges and promising innovations at a roundtable on 19 June in Berlin. The event was organized and held in cooperation with the Robert Bosch Stiftung and the German Federal Government Commissioner for Migration, Refugees and Integration. Simon Morris-Lange, Deputy Head of the Expert Council’s Research Unit, was invited to join the roundtable at which he presented research findings on initial and in-service teacher training. Over the course of the day, other key topics included the untapped potential of civics and citizenship education and the role of technology in improving educational opportunities for all students. The roundtable was attended by experts from the European Commission, national ministries of education and integration, as well as education practitioners from the Czech Republic, Denmark, Finland, Germany, Italy, and Portugal. German Social Science Archive GESIS just published the complete data set of the study entitled “Internationally Mobile”, conducted among emigrants from, and return migrants to Germany in 2014/15, for research purposes. The joint study was conducted by the Expert Council’s Research Unit, the Federal Institute for Population Research (BiB) and the University of Duisburg-Essen and analysed what motivates emigrants and returnees to migrate. The study is broader in scale than ever before and spans all professional groups and qualification levels. All data and documents are released via the data portal gesis Leibnitz-Institut für Sozialwissenschaften for academic research and teaching after the data depositor’s written authorization. The study as well as the report on data and methods (in German) can be downloaded here. The Expert Council’s Research Unit shows in this expert report that children and young people from immigrant families are doubly disadvantaged over their entire educational careers: as a result of their immigrant background, but even more importantly due to their social origin. This is the result of an in-depth analysis of the current research on the double disadvantage conducted by the Expert Council’s Research Unit. Based on the analysis, the expert report provides recommendations for policy and practice as well as for future research. 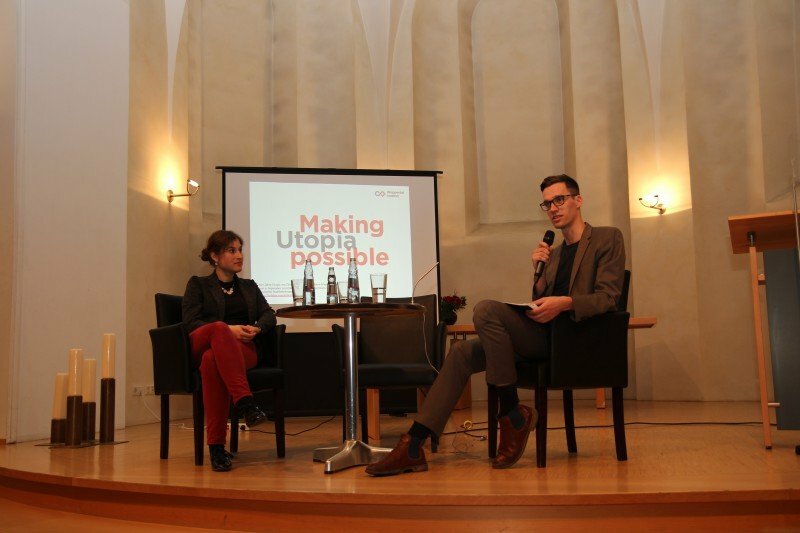 Together with Benjamin Best, researcher at the Wuppertal Institute for Climate, Environment and Energy, Caroline Schultz discussed the global dimensions of migration and refugee movements and related fears that the refugee influx might overburden the German welfare state. The event was organized by the Katholisches Bildungswerk Wuppertal/Solingen/Remscheid and was the first of a series of events entitled “About the World and God”. Audio clips and a summary of the debate can be found on the Bildungswerk’s blog (in German). In the latest issue of International Higher Education, a quarterly publication of the Boston College Center for International Higher Education, Simon Morris-Lange, Deputy Head of SVR’s Research Unit, and his co-author Florinda Brands, provide a concise analysis of access barriers for refugees who seek to commence or continue their university studies in Germany. The Maison Heinrich Heine in Paris invited Caroline Schultz, a researcher with SVR’s Research Unit, to present and participate in a panel discussion on European asylum policy. Together with Martin Patzelt (Member of the German Bundestag), Thierry Pech, and Constance Le Grip (Member of the European Parliament) Ms. Schultz discussed policy options for a European solution. More information on the event can be accessed here. The majority of international students at universities in Canada, Germany and other major destination countries would like to stay and gain some work experience after graduation. However, despite government efforts to ease visa restrictions, many struggle to enter the labour market. To present key present findings from the Research Unit’s Train and Retain study, Simon Morris-Lange, Deputy Head of the Expert Council’s Research Unit, was invited to chair a session at the annual conference of the European Association for International Education (EAIE). Complementing SVR’s research, the session’s panel discussion featured experts from three countries: Dr. Simone Burkhart (DAAD) shared information on various talent retention initiatives in Germany, Suzanne Körmeling (EP-Nuffic) spoke on the Make it in the Netherlands initiative and stressed the importance of establishing a collaborative system of career support, and Geoff Wilmshurst (Camosun College, CBIE) who explained the latest changes in Canadian student visa policies as well as their ramifications for international students who would like to stay and gain work experience in Canada. The interactive session was attended by government official, career service and international education professionals from Asia, Australia, Europe and North America. EU refugee policy is facing unprecedented challenges: This year, more refugees than at any time before have died trying to reach safe European ports, and the number of asylum claims is ever-increasing. In a joint To The Point publication, Dr. Jan Schneider, Head of the Expert Council’s Research Unit, and Dr. Steffen Angenendt from the German Institute for International and Security Affairs suggest collective procedures for the take-in of refugees from crisis-torn countries. These include Syria, Eritrea and Somalia, whose citizens are frequently granted protection after filing for asylum in the EU. Implementing such collective reception procedures could relieve pressure from overburdened asylum systems and help prevent refugees from embarking on the life threatening journey across the Mediterranean Sea. In order of ensure a fair allocation of asylum-seekers entering the EU through a joint EU contingent, the authors present a distribution key, taking into account economic strength, population, size of territory and unemployment data from individual EU member states. The SVR Research Unit‘s To The Point publication is available for download in the Publications section. Since 2011, the number of immigrants from EU member states has increased considerably in Germany. In a paper, written for the institut français des relations internationales (Notes du Cerfa, Comité d’études des relations franco-allemandes) Marcus Engler and Martin Weinmann analyzed the scope, structure and consequences of recent immigration from EU countries to Germany. The paper has been published in German and French. A summary is available in English. Due to the stable German labour market and thriving economic development in comparison to other European countries that are still struggling to recover from the economic crisis, Germany has become a real magnet for immigrants. In particular, people from Central and Eastern Europe and from the crisis states of the southern Eurozone are lured by Germany’s job market. Immigration is generally well perceived by German citizens. However, in the past few years it has increasingly become a subject of public controversy. Objections are mainly based on the fear that the freedom of movement in the EU could lead to massive ’immigration into the German social systems’ (welfare tourism’). This fear, however, is groundless. Since most people coming to Germany are young and highly qualified, immigration from EU countries generally has a positive impact on German social systems and significantly eases the consequences of Germany’s demographic difficulties. Nevertheless, Germany’s shortage of skilled workers cannot be resolved purely by EU immigration in the future. On the one hand, demographic change affects almost all EU countries to a similar extent. On the other, migrants may be expected to return to their home countries as they recover from the economic and financial crisis. Germany’s ageing population and (projected) labor shortages have turned policy-makers’ attention to international students as a potential source of skilled labour. However, as shown by previous research, many international students experience difficulties when trying to enter the German labour market. In response, the German Federal Ministry for Economic Affairs and Energy (Federal Commissioner for the East German States) and the Stifterverband have launched “Study and Work”, a two-year initiative supporting the retention of international students. The “Study and Work” initiative is complemented by a longitudinal study by the Expert Council’s Research Unit. The two-year research project compares international students’ attitudes and expectations toward finding employment in Germany with their actual post-study experiences. Furthermore, migration patterns both in and outside of Germany will be analyzed. At the official kick-off event for the “Study and Work” initiative Simon Morris-Lange, Deputy Head of the Research Unit, presented the research endeavor to 90 participants from higher education, industry and policy. The rising number of asylum seekers in the European Union requires a critical assessment of the reception mechanisms in use today. To discuss key challenges and potential solutions, Dr. Jan Schneider, Head of the Expert Council’s Research Unit, was invited to speak at a public hearing of the German Bundestag’s subcommittee on internal affairs on July 2, 2014. At the hearing, Dr. Schneider presented a refugee reception quota model, which was jointly developed by the Research Unit and the German Institute for International and Security Affairs (SWP). By calculating fair reception quotas for every EU member state, the multi-factor model seeks to contribute to the conceptual development of a Common European Asylum System. The hearing was attended by a number of members of parliament, including Wolfgang Bosbach (Christian Democratic Party of Germany), Luise Amtsberg (Green Party), Ulla Jelpke (The Left), Christina Kampmann (Social Democratic Party of Germany), Rüdiger Veit (Social Democratic Party of Germany) und Nina Warken (Christian Democratic Party of Germany). In order to further the conceptual development of a Common European Asylum System, the Expert Council’s Research Unit and the German Institute for International and Security Affairs (SWP) shared their refugee reception quota model with EU Commissioner Cecilia Malmström on June 12, 2014 in Brussels. So far, there is no EU-wide mechanism to ensure a more even distribution of refugees among the 28 member states. SVR and SWP propose a multi-factor model which takes into account the economic strength, population, size of territory and unemployment rate of individual countries so that refugee reception quotas can be calculated based on administrative data. The Brussels presentation of the model was attended by senior embassy staff and representatives of refugee aid organizations. The model was presented by Dr. Jan Schneider, Head of Research Unit, Dr. Steffen Angenendt, Senior Associate at SWP. Simon Morris-Lange, Deputy Head of the Expert Council’s Research Unit, was invited to join the German Forum for Higher Education in the Digital Age (Hochschulforum Digitalisierung) as an internationalisation expert. The Forum brings together education researchers, senior administrators, technology entrepreneurs and policy-makers to develop practical solutions and strategic recommendations for the university in the digital age. 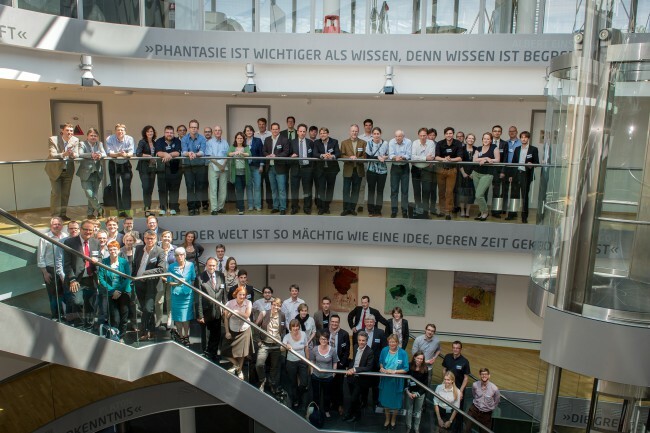 On September 23, 2014, Simon Morris-Lange attended the second meeting of the Forum’s internationalisation experts in Berlin. The Forum is a three year project of the German Rectors’ Conference (HRK), the Centre for Higher Education (CHE) and the Stifterverband. The project is conducted in collaboration with Germany’s Federal Ministry of Education and Research (BMBF) and the The Standing Conference of the Ministers of Education and Cultural Affairs of the German Laender (KMK).